After a World Cup without orange, the colour orange is back on track. 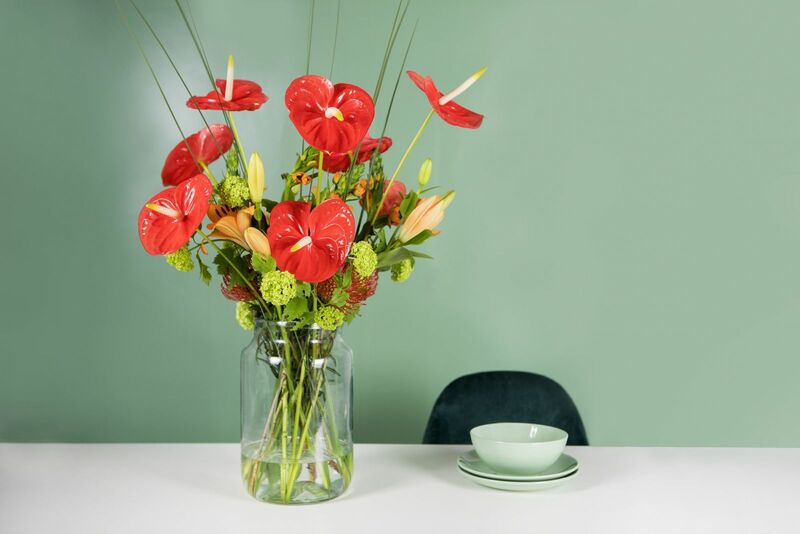 With the introduction of Anthurium cut flower Saffron®, Xanthu Anthogether is already making a good move to give the colour orange a new impulse. Saffron is an orange/red spice. Saffron is known as the most expensive spice in the world and has a characteristic scent that is midway between honey and hay. The Anthurium Saffron gives the same characteristic look to every bouquet in which it is processed. The bright orange colour cheers up the arrangement. The flowers of Saffron are of medium size, which allows numerous different uses. The tested vase life is excellent at more than 33 days. With the introduction of Saffron, the choice for an orange Anthurium becomes more attractive for the European florist.